Wrestling fans around the world were shocked on May 1, 2003. 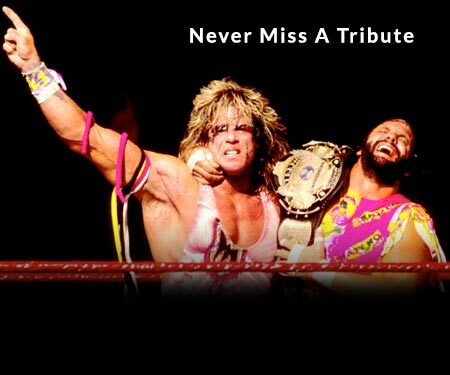 Miss Elizabeth, valet to the late “Macho Man” Randy Savage was dead at just 42 years old. The once-dubbed “First Lady of Wrestling” suffered from an apparent drug overdose. Minutes prior to her falling into unconsciousness, everything appeared normal. Well, everything except the fact that she was in Lex Luger’s home at the time. Lex and Liz, both married at the time, were involved in a secret affair. Lex frantically called 911 when he discovered Liz wasn’t breathing. Although she is gone, Miss Elizabeth’s career in wrestling is still well remembered by fans of the WWF’s golden era… and perhaps even a few who were watching Monday Nitro in the late 90s. It’s hard to believe that someone who appeared so gentle and soft spoken on screen would end up dead from a drug overdose in her 40s. Many fans seem to point fault for Elizabeth’s downfall toward the direction of Lex Luger. Lex was a well documented drug user at the time, but we’ll get to that toward the end of the article. First, lets take a look at some of the better times. Miss Elizabeth was born Elizabeth Ann Hulette on November 19, 1960 in Frankfort, Kentucky. Elizabeth’s father owned a local television station, and it seems she had intentions of working for him even from a young age. At the University of Kentucky she studied communications, and after receiving her bachelor’s degree, she took a job operating the camera at the station. While working, Elizabeth met Randy “Macho Man” Savage. At the time, Savage was wrestling for his father’s organization – ICW (International Championship Wrestling). 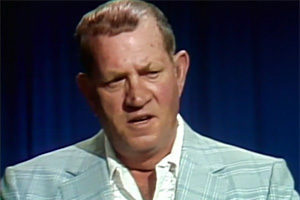 ICW was airing on Elizabeth’s father’s station and by December 1984, Randy and Elizabeth were married. In June 1985, Randy Savage became one of the WWF’s new stars. His entry into the story lines involved a competition to see who would be his manager. Miss Elizabeth landed the job. In the fall of 1987, Miss Elizabeth became a pivotal part in Randy Savage’s story line. 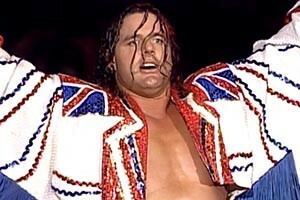 During a match for the IC title, Liz stepped into the ring to try and stop the Honky Tonk Man from assaulting Randy with his guitar. Honky Tonk shoved Elizabeth aside and she ran backstage to ask the mighty Hulk Hogan for help. On cue, the Hulkster cleared house, and Hogan and Savage shook hands, ultimately forming a new alliance. The Mega Powers were born. The Mega Powers were a major story line in the WWF for nearly two years. The tag team was on fire, but bouts of jealousy were emerging from Randy whenever Miss Elizabeth would pay attention to Hulk Hogan. It was classic story telling during the boom of the 80s wrestling explosion – perhaps what made it so believable, was the fact that Randy Savage was always said to be very protective and jealous over Elizabeth, even when the camera’s weren’t rolling. The alliance ended in 1989, during a live NBC broadcast of “The Main Event” (an occasional spin off of the more recognized Saturday Night’s Main Event). In a segment that is probably one of the most infamous backstage altercations in WWF history, Savage attacks Hogan with the belt, while a stunned Miss Elizabeth watches in horror. Heel turn 101! The two battled at WrestleMania V, but not before drama ensued over whose corner Miss Elizabeth would be in. Always classy, Liz remained neutral. Although Randy Savage and Miss Elizabeth parted ways on screen, they remained married behind the scenes. Their in-ring personalities were reunited again though, and in 1991, they had a kayfabe wedding at SummerSlam. The joy of the moment was cut short when Jake “The Snake” Roberts presented Miss Elizabeth with a treacherous cobra. For the next few months, a feud between babyfaced Randy and Jake kept WWF fans glued to their screens. In April 1992 at WrestleMania VIII, Miss Elizabeth and Randy’s on screen love story once again became a vehicle to bring conflict to the ring. Ric Flair proclaimed that he had dated Miss Elizabeth before she knew Randy. 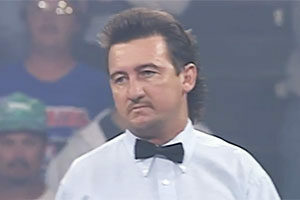 The revelation led to a match at WrestleMania VIII, where Savage was victorious. Off the screen, Elizabeth and Randy Savage had already separated. The two filed for divorce and public statements were issued about the break-up to share the news with fans. 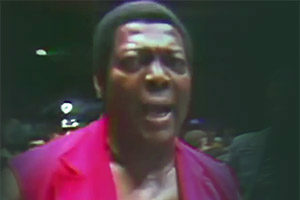 It was one of the first times up to that point in WWE history where personalities’ off-screen lives were acknowledged. After leaving the WWF, for a short time Elizabeth worked for ESPN, covering boat racing events. By 1996 she was back in the world of wrestling with WCW. When she first returned, Miss Elizabeth once again played the part of Randy Savage’s manager. Savage had made the jump to WCW late in ’94. Elizabeth was involved in a number of WCW story lines and eventually became one of Ric Flair’s managers. Off screen, in 1997 Elizabeth married a Florida attorney named Cary Lubetsky – the couple divorced just 2 years later. By 1999, Liz had become linked with wrestler Lex Luger. Although both were married, the pair began a secret relationship off screen. Ultimately, Lex and Miss Elizabeth were terminated from WCW, although not because of their affair. Their contracts were voided in August 2000, and the two would never again appear ringside. All sources indicate that Elizabeth was undergoing a rough period of time in the final years of her life. Police were called in to settle a domestic dispute on April 19, 2003, and it seemed that both Elizabeth and Lex began to spiral out of control. Luger was arrested for striking her, released on bond and arrested again two days later for getting into an accident while driving under the influence. On May 1, 2003, Lex placed a frantic call to emergency services in Marietta, Georgia, saying that Elizabeth was not breathing. Paramedics rushed her to Kennestone Hospital, and Miss Elizabeth’s death was confirmed at 5:45AM. An investigation was launched to determine Miss Elizabeth’s cause of death. Due to the history of domestic violence, Lex was questioned, but there was no evidence that he was at fault. He was however, still arrested – the police finding over 1,700 prescription pills in his home, along with steroids and growth hormones. 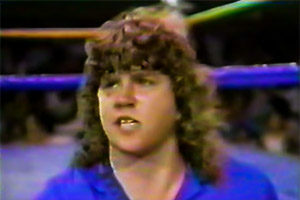 The coroner would rule that Miss Elizabeth’s cause of death was toxicity due to a combination of pain pills and vodka. 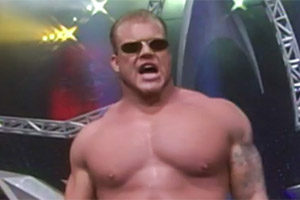 Luger would end up divorced from his wife, and suffered serious health problems in 2007. He was temporarily a quadriplegic, eventually regaining the strength to walk and drive. 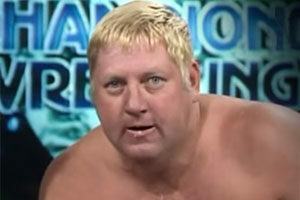 He is sober now, and heavily involved in his faith, though he appears half (generously) the physical size as he did at the height of his wrestling days. Luger continues, mentioning his thoughts of committing suicide while in jail. Elizabeth and Luger in an undated photo. This may be a stretch, but without Miss Elizabeth, WWE wrestling may not be what it is today. She played a pivotal role in one of the most dramatic storylines in WWE history – the late 80s magic that was the Mega Powers. A 2015 WWE.com ranking of the 50 most beautiful performers of all time put Liz in the #1 spot. While Miss Elizabeth’s death tragically came much too soon, it’s certain she will live on through her legacy in the world of professional wrestling, and not her post-wrestling struggles with substance abuse. Miss Elizabeth’s grave is located at the Frankfort Cemetery in Frankfort, KY.
Have a comment about the legacy of Miss Elizabeth? Sound off in the comments section below!